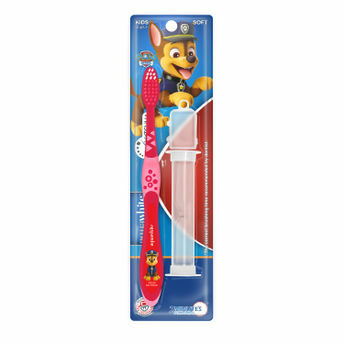 Pamper your child's tiny molars with aquawhite Paw Patrol Watchha Toothbrush! This toothbrush comes with a two minute a sand timer and a hygiene cap. Exclusive license holder of Paw Patrol characters in India, aquaguard is bringing toothbrushes featuring characters from this popular cartoon. It also has a flashlight that blinks with a 2 minute timer (auto-off). Made with soft bristles that are gentle on your kids developing teeth and gums and a small head that fits well in your child's mouth. The uniquely shaped handle makes it easy for children to hold. 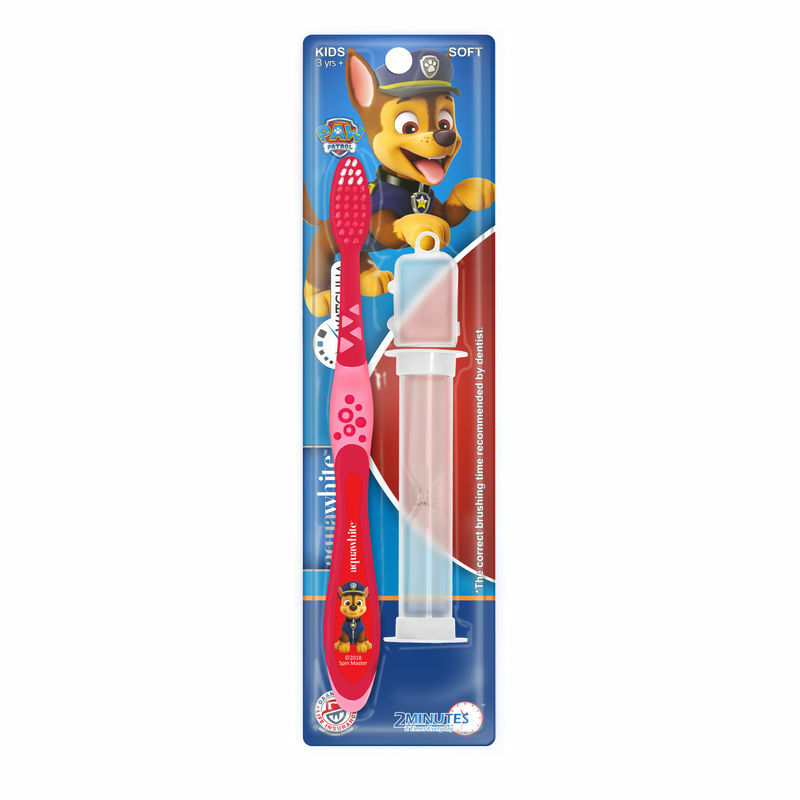 The flashing lights on the brush will ensure to make the brushing a fun experience, while the adorable Paw Patrol design will prompt the kids to brush on their own.